Bristol, Connecticut is home to ESPN and America's oldest still-operating theme park. The suburban city is also home to youngsters who might fear an important visit to the dentist! 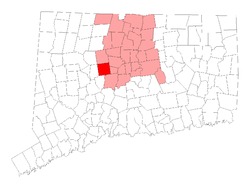 Luckily, CT Pediatric Dentistry has an office located just 8 miles from Bristol, CT in Unionville, a borough in Farmington's northwest corner. We at CT Pediatric Dentistry pride ourselves in offering dental care exclusively to children, and we have the years of experience and knowledge to make their visit a pleasant one. Parents around Connecticut bring their children to see us in Unionville because they know we will relieve the anxiety that children can feel when it comes to visiting the dentist. We specialize in dental health education and preventive care, often speaking at local schools about the importance of taking care of your teeth from a young age. Parents from Bristol, CT should bring their youngster to see us from an early age, as soon as the first tooth erupts. By the time a child is 2 or 3 they should have all 20 of their primary teeth and hopefully have had several visits to a pediatric dentist for a check-up and cleaning. Someone is always on call at CT Pediatric Dentistry in the even of your child needing emergency care. We also offer cosmetic dental services such as bonding, for when accidents happen, or a teeth whitening consultation for teenagers who become self-conscious about their smile. We will give them deeper understanding of oral health, and let them know what color their teeth should be. Our experienced team also offers restoration and extraction services to young people. A pediatric dentist can ease a child's fears when it comes to procedures such as drilling and filling cavities, getting a crown, or tooth extraction. If you notice a tooth coming in crooked or your child complains about jaw related pain, please contact us at 860-673-3900 to to make an appointment at our Unionville office to have your child examined by our friendly team there.